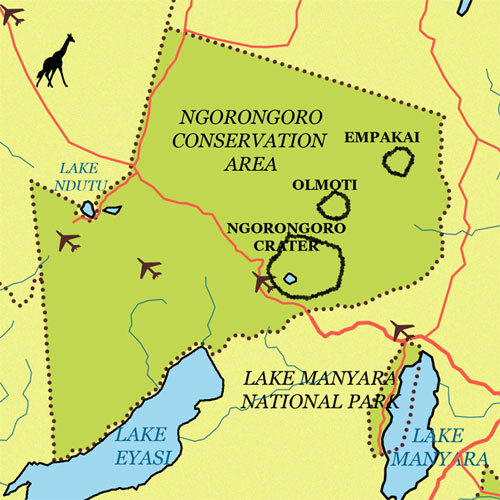 The Ngorongoro Conservation Area (aka NCA) is an area located on the Eastern arm of the Rift Valley, with the famous Ngorongoro Crater in its center. This area is not quite a National Park in the strict sense, but was established in the spirit of wildlife and other natural resources conservation. Its purpose is also to protect the neighboring tribes and tourism promotion. 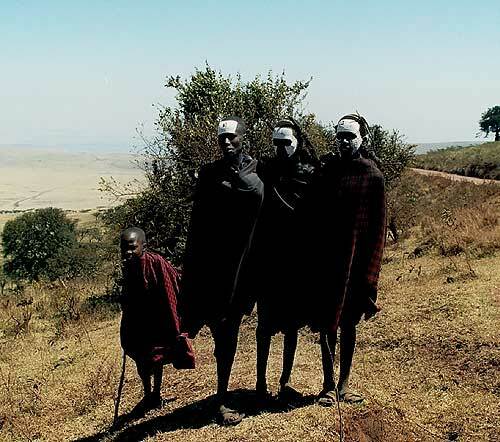 Hence, the visitors have the opportunity to meet with Masai herders and their cows, mixing naturally with the area's wildlife. The diversity of its landscapes is impressive. It is also of archeological significance, as it hosts the Olduvai Gorge, often considered as mankind's cradle. 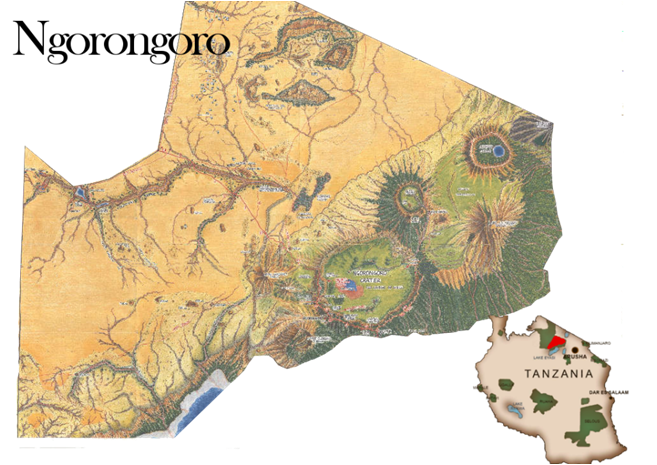 The Ngorongoro is the largest intact crater in the world. It was an active volcano 8 million years ago. Technically speaking, it is more of a caldera, whose cone crashed and slid into the volcano. making an immense 16km wide hole. 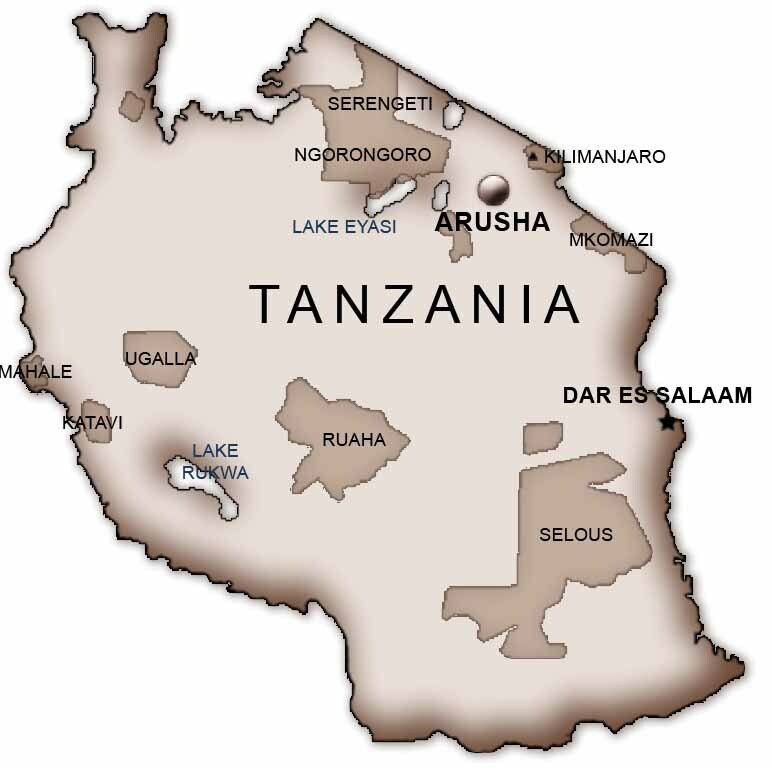 The bottom covers 160 km² and most of the main biotopes are represented here : lake, forest, savane. 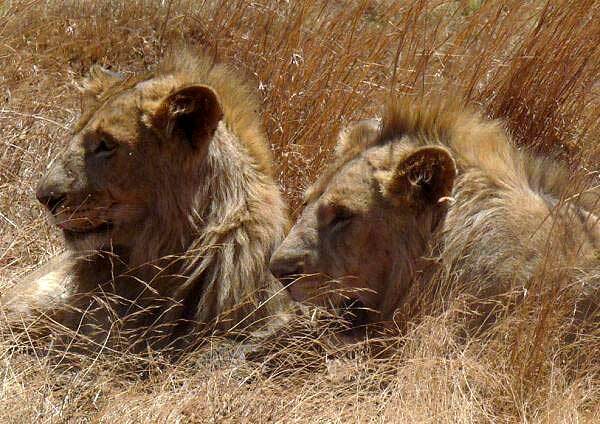 The rim, where lodges are located is at 2.286 m altitude with a gradient of 610 m. More than 25.000 animals live inside the crater with for example more than 400 hyenas, about 100 lions. 50 different species of mammals are represented here except the impala and the girafe. The animals are not prisonners there, as they can come and go through 3 passes giving way on the outside.